CONFIRMED: Bell and Telus To Launch iPhone 3G/3GS In Canada! After announcing the launch of the new HSPA+ network from Bell and Telus and the rumored launch of the iPhone in November, Bell and Telus have now officially confirmed that the iPhone 3G/3GS will be available in November 2009. Bell and Telus, through a joint collaboration, have completed their HSPA+ network earlier than scheduled and have official agreements with Apple Inc. to deliver the iPhone in Canada. The new network will house speeds of up to 21 Mbps, rivaling Rogers’ HSPA+ network that was announced just last month in only five cities across Canada. The Bell/Telus network update and iPhone release news ends months of rumors and speculation about Rogers iPhone exclusivity agreements and the inability of Bell/Telus to be able to run the iPhone on their networks. At this time, it remains to be seen what the price of Bell/Telus monthly plans will be for the iPhone 3G/3GS and what features the plans will include. As Canadians approach the 2009 holiday shopping season, the new network and device offers from Bell and Telus will bring increased wireless competition, carrier choice and potential price drops. This marks the first time in many years that Canada will have multiple GSM networks running on multiple companies. One is left wondering what, if anything, Rogers Wireless will do to combat the new offers from Bell and Telus, as Rogers no longer has exclusivity with the iPhone which has been the company’s bread and butter for the last year and a half. However, over the last year Rogers has been changing their policies for the worse and increasing prices across the entire wireless division. With the new competing networks and iPhone availability from Bell and Telus, Rogers’ list of competitive advantages has almost hit zero. Simply bringing prices back to what they once were will not impress Canadians, as many argue that the prices should not have been increased to begin with. Needless to say, it will be a very lucrative and interesting holiday quarter for both Telus and Bell. 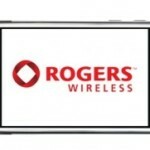 As for Rogers Wireless, they may have to increase prices some more to keep those annual executive bonuses.